1802 Draped Bust dollars are scarce as a breed and are difficult to find without extensive searching. The Draped Bust dollar series was designed by Robert Scot and remains one of the most popular classic coins. 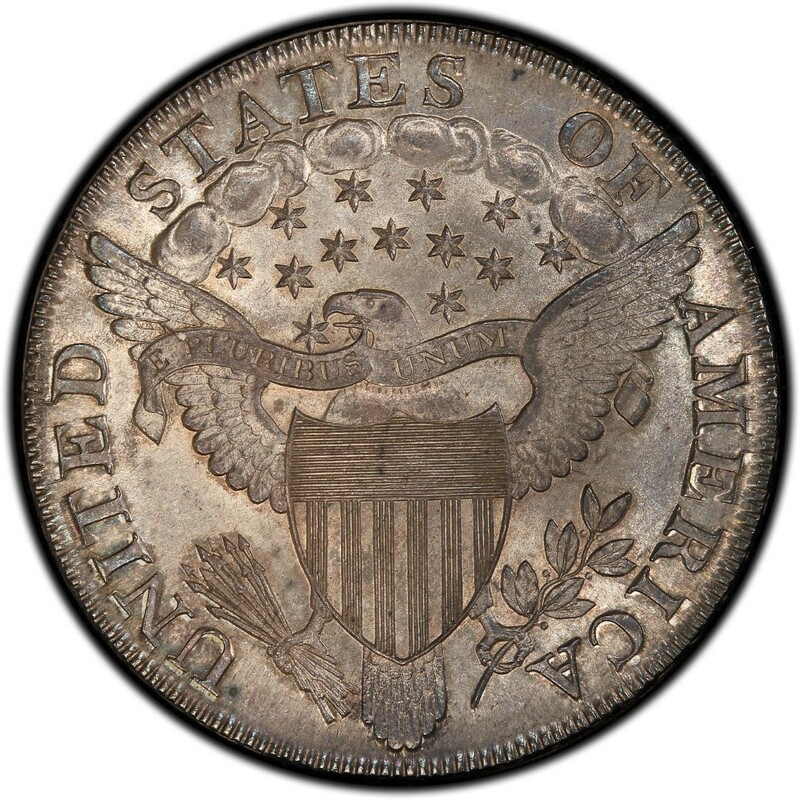 These early American silver dollars are widely collected along with the Flowing Hair silver dollar of 1794 and 1795, which Scot also designed. 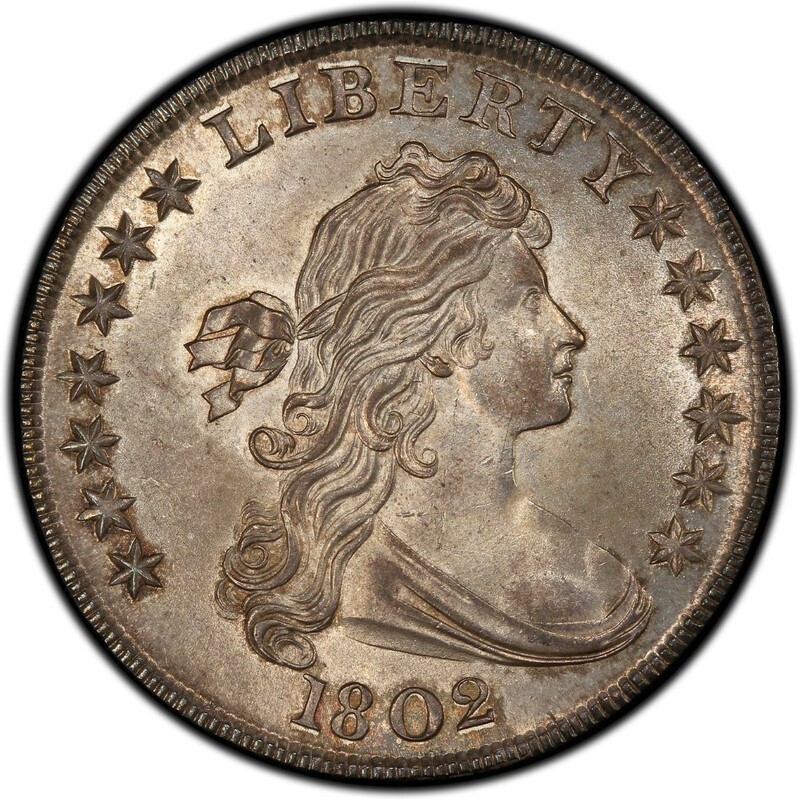 For those who have the financial means to collect even just one Draped Bust silver dollar, the acquisition of an 1802 dollar is a significant achievement, but there are collectors who will pursue multiple 1802 silver dollars representing each of the minor die varieties from the year. These Draped Bust dollar enthusiasts will seek, often over the course of many frustrating years, each of the coins they desire for these thorough collections. Those who actually do assemble a run of even a few varieties from any given year of the Draped Bust dollar series are among the very few to have done so, mainly due to the cost of buying these coins, but also because of the sheer scarcity of these early silver dollars. The United States Mint does not have official records on how many of each variety listed above was produced. However, the total mintage of all 1802 dollars tallies at 41,650 pieces. Not all survive to this day. Perhaps 2,300 to 2,500 still exist, making the 1802 dollar a decidedly scarce coin. In each case, problem-free examples of these varieties sell for between $1,000 and $1,200 in a grade of Good-4, with prices topping $25,000 to $30,000 in uncirculated. 1802 silver dollars with surface issues such as cleanings, holes, gouges, or other problems tend to trade at prices between $500 and $750.